Amsterdam, 25 October 2017 – Last June the Personal Care Products Council (PCPC), which represents the cosmetics industry worldwide, brought out a bizarre press release stating that they take their responsibility seriously and are doing their utmost to tackle plastic pollution in the oceans, pointing to the voluntary phasing out of plastic microbeads in scrub products. However, the organization then went on to protest against the United Nations Clean Seas-campaign, which is urging the cosmetics industry to stop adding microplastics to their products. The press release also sets out the cosmetic industry’s reasons for their protest, for instance a number of studies by independent scientists shows that other industries play a much bigger role than the cosmetics industry in causing plastic soup. 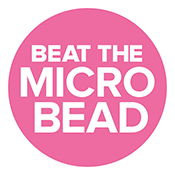 The press release claims that the industry is only responsible for “the tiniest fraction of plastic pollution in aquatic environments” and quotes a Danish study which found that 99% of the microbeads are removed by water purification plants. In its conclusion the PCPC says they sincerely hope that the United Nations Environment Program (UNEP) will base their Clean Seas-campaign on science and seek real solutions (rather than solely targeting the cosmetics industry). When you read these kind of press releases, you need to ask yourself what is not being said. In order to rid cosmetic products of microplastics (and this applies to many more products than the scrubs mentioned above) some cosmetic firms would be forced to make adjustments to more than 90% of their products, which is expensive and takes time. The British trade association Cosmetic, Toiletry and Perfumery Association (CTPA) used this argument recently in their protest against a proposed British ban on microplastics in cosmetics. In other words, the industry is not at all willing to remove all microplastics from personal care products and replace them with alternatives because it would be an extremely expensive exercise. Another issue the PCPC omitted from their press release is that the Danish study they quote also states sewage sludge from water purification plants is subsequently distributed on agricultural land as fertilizer. Norwegian scientist Luca Nizzetto has conducted research into this and found that microplastics from the sludge seep into the soil. He estimates this to be between 110,000 and 730,000 tons of microplastics worldwide, a proportion of which runs off into surface water. So, eventually all those plastic particles end up in the environment after all, thanks to the cosmetics industry. The PCPC’s position and their attack on the UNEP are extremely regrettable. Instead of conceding guilt and removing microplastics from their personal care products, they are trying to downplay the problem by misrepresenting the facts. Their true objective is simply to continue selling personal care products containing microplastics for as long as possible.